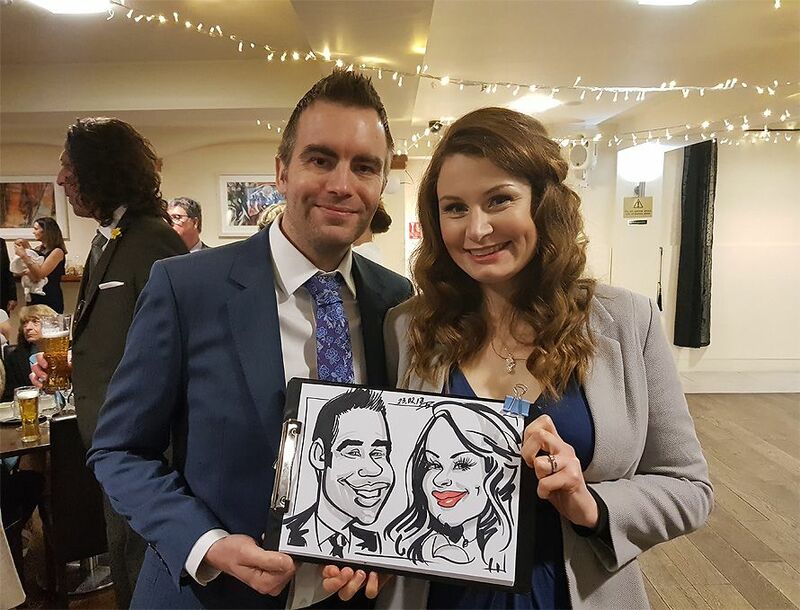 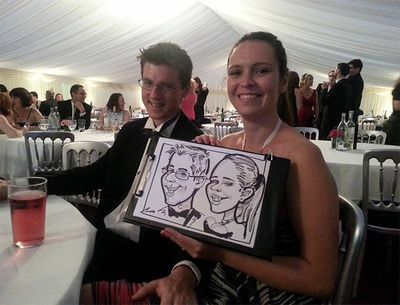 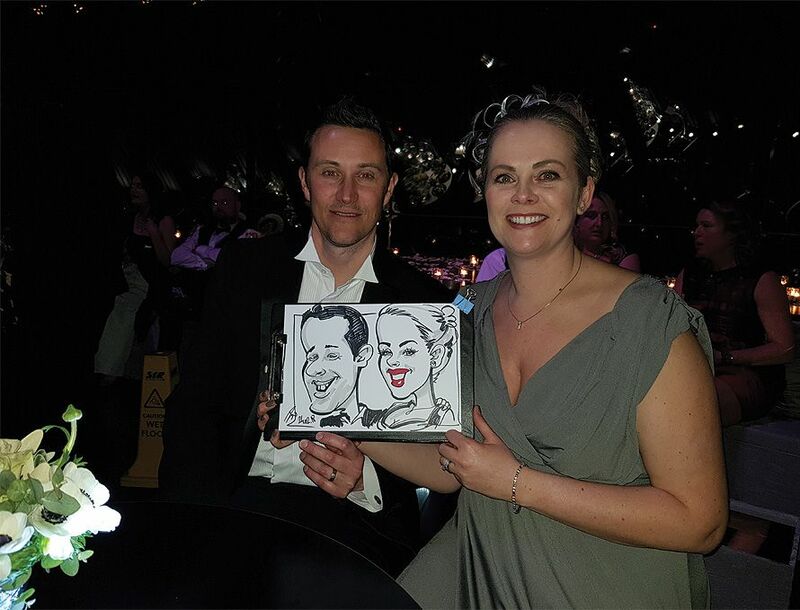 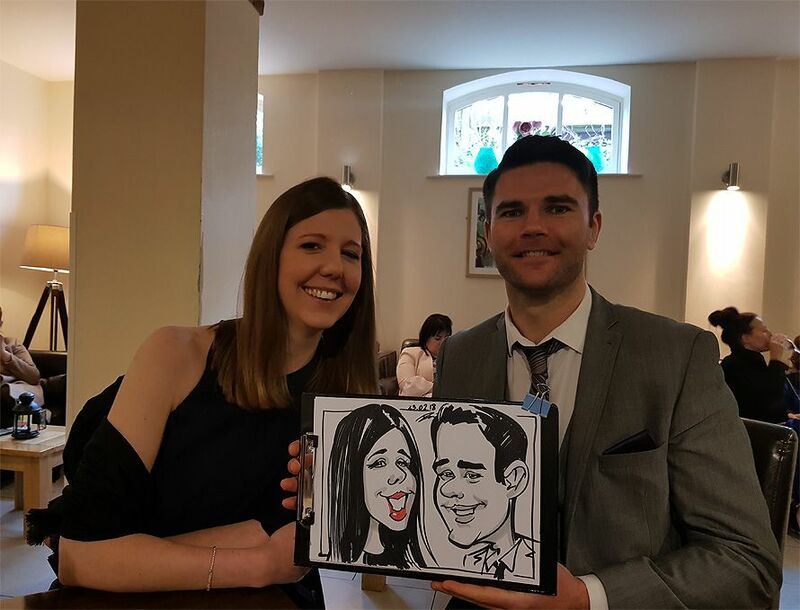 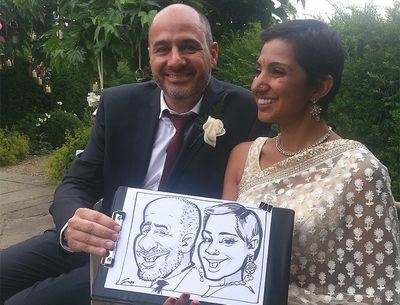 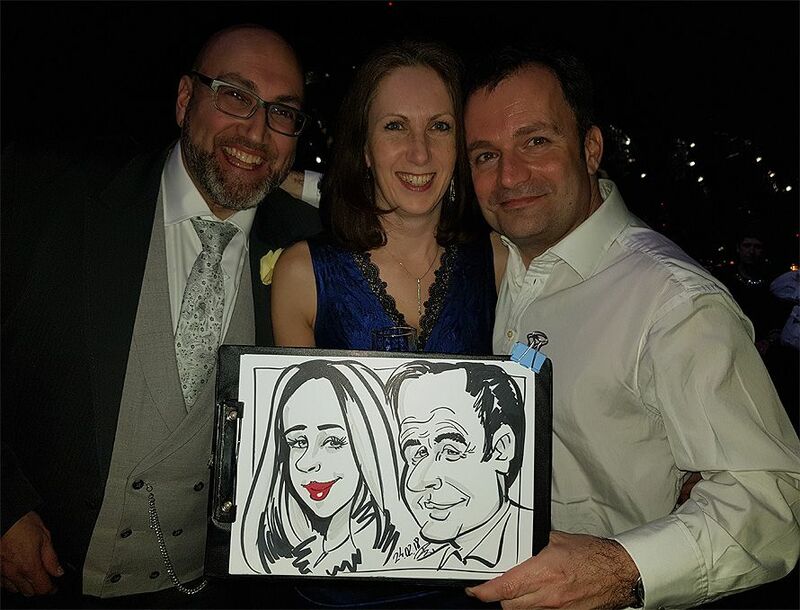 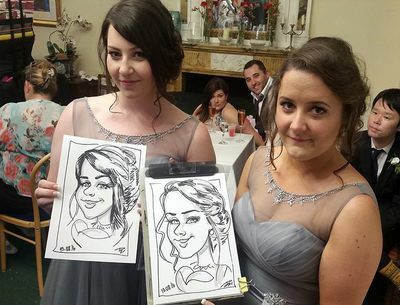 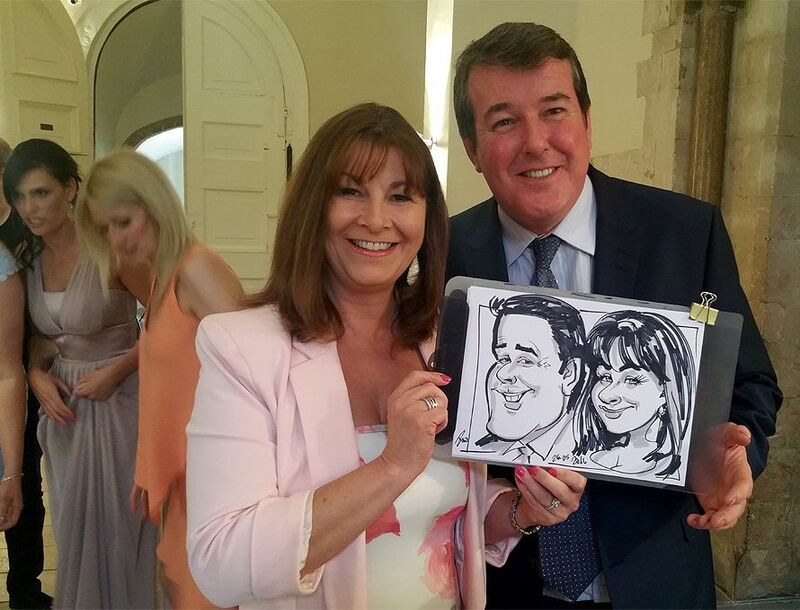 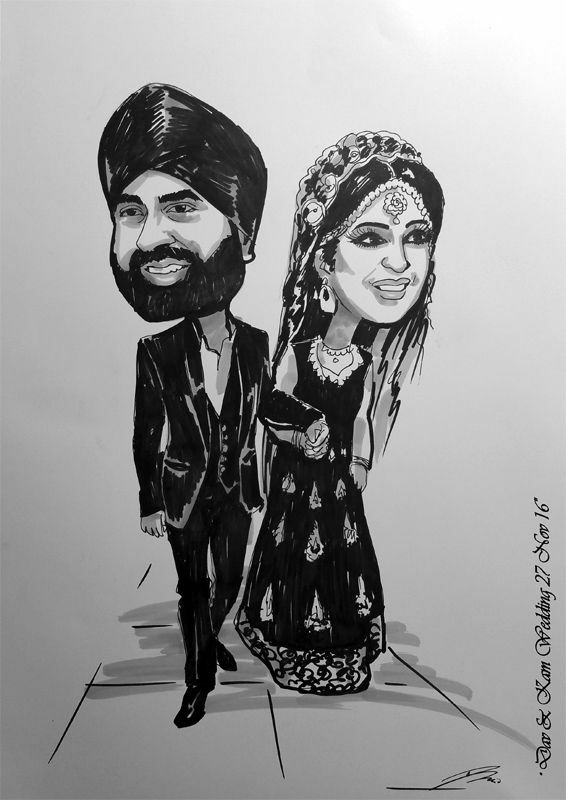 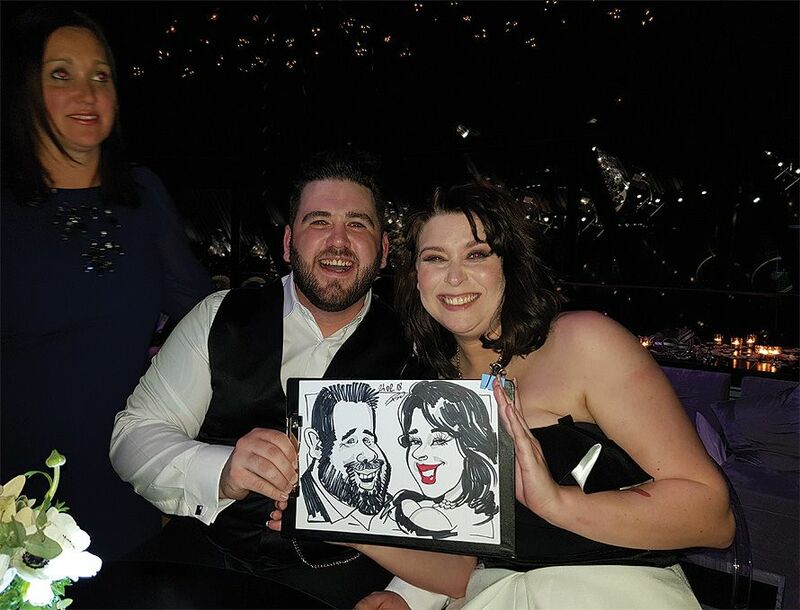 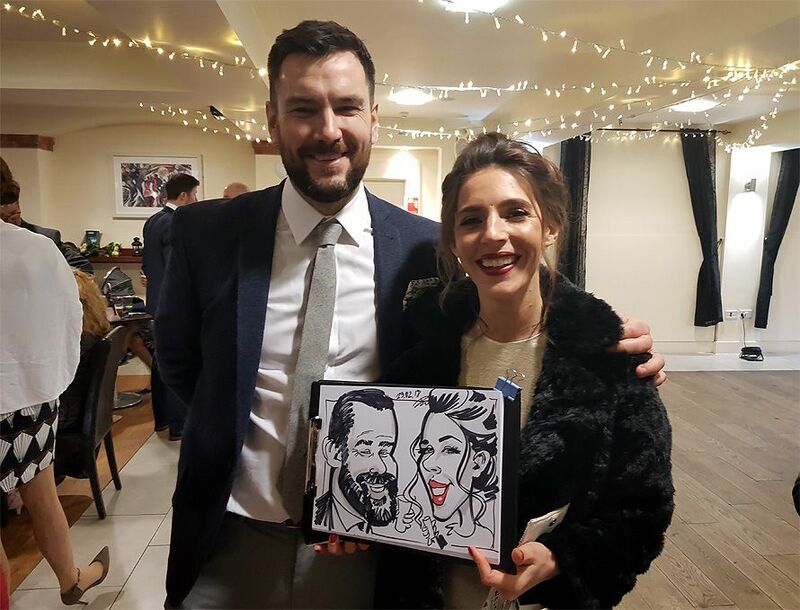 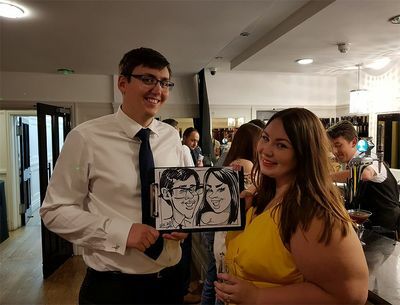 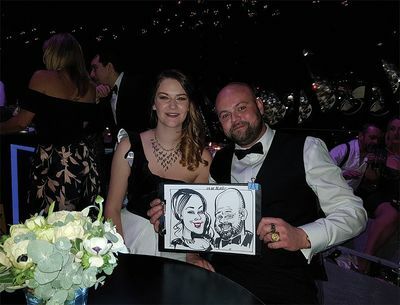 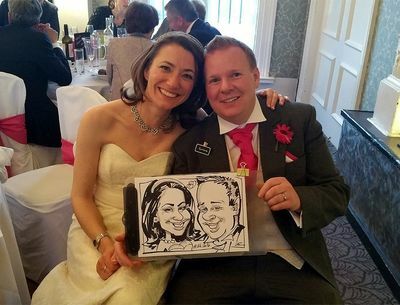 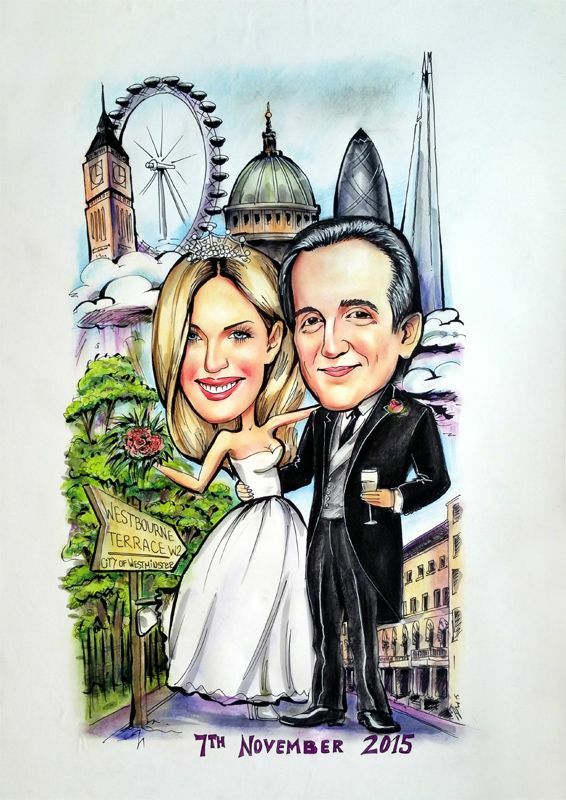 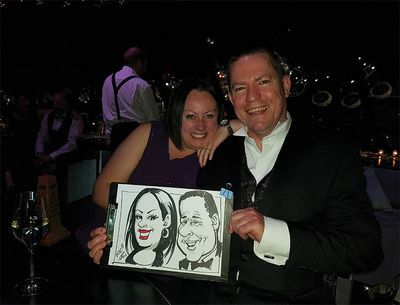 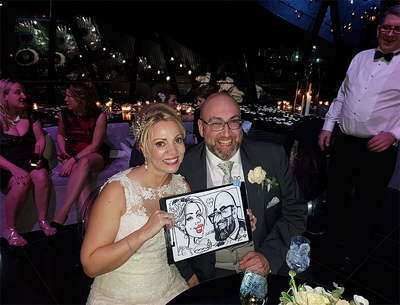 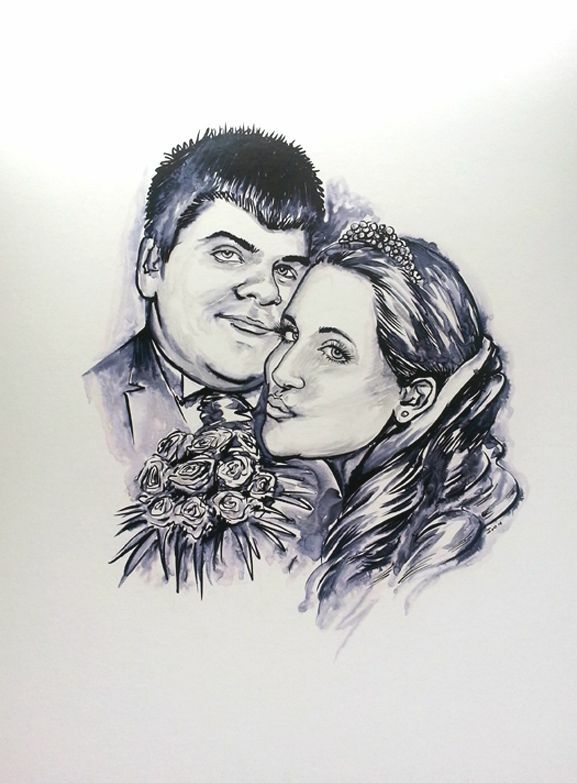 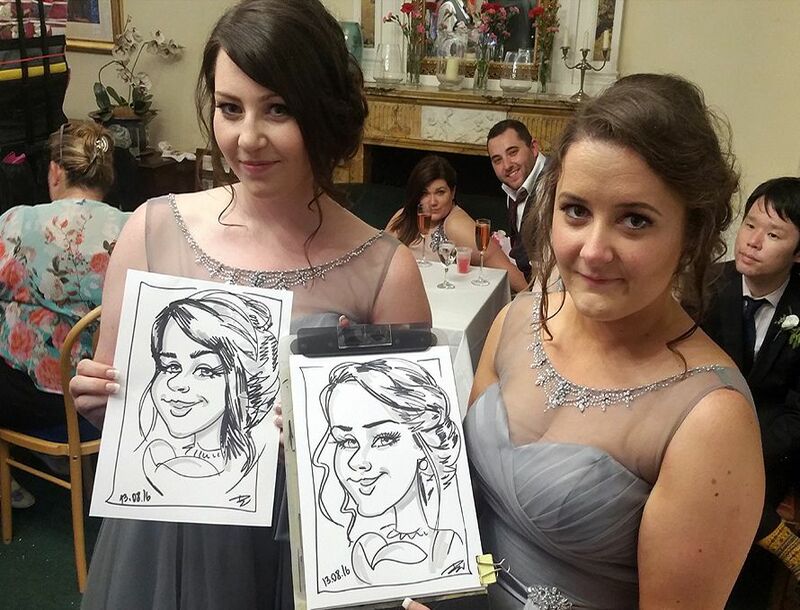 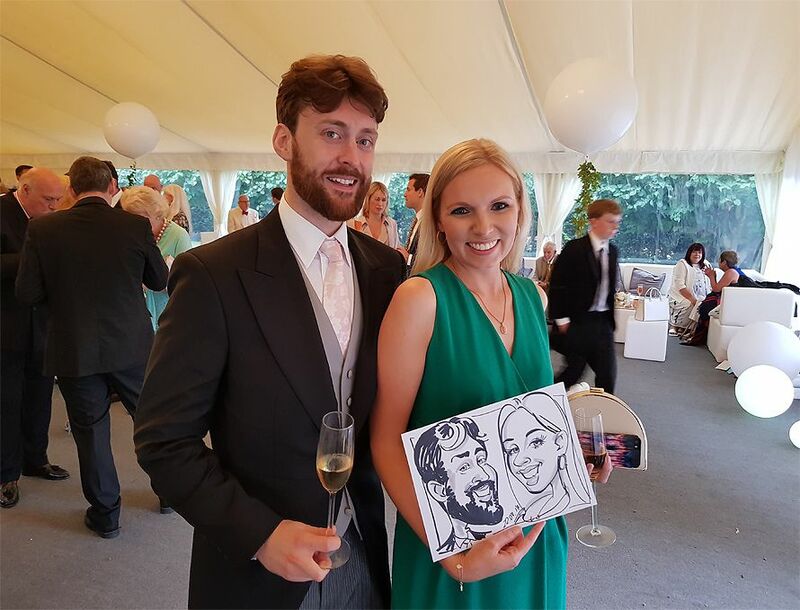 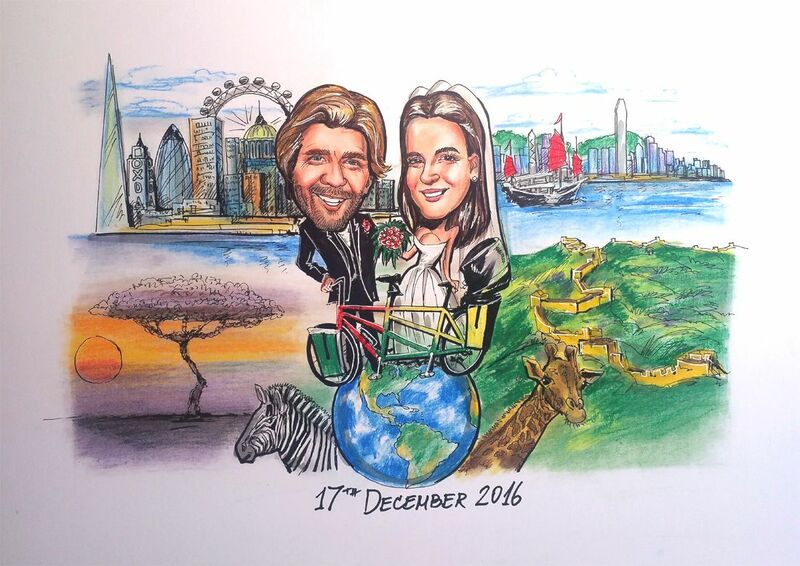 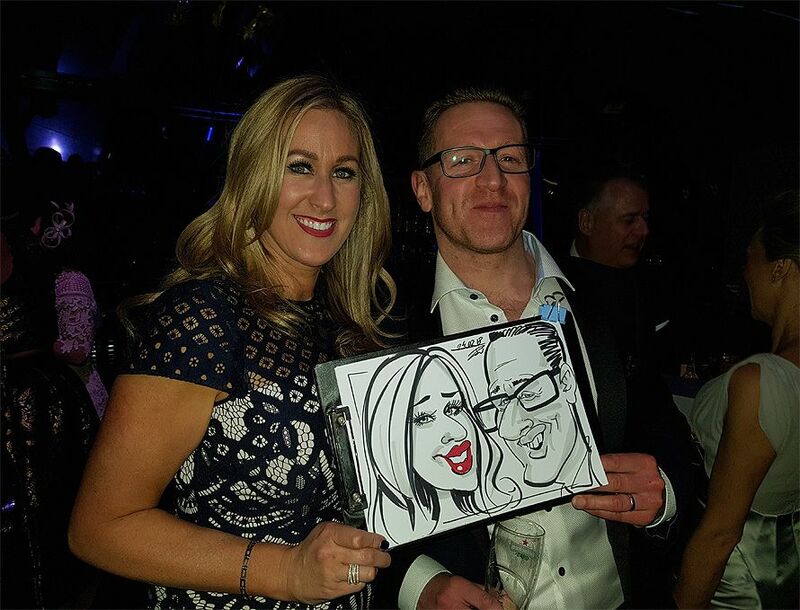 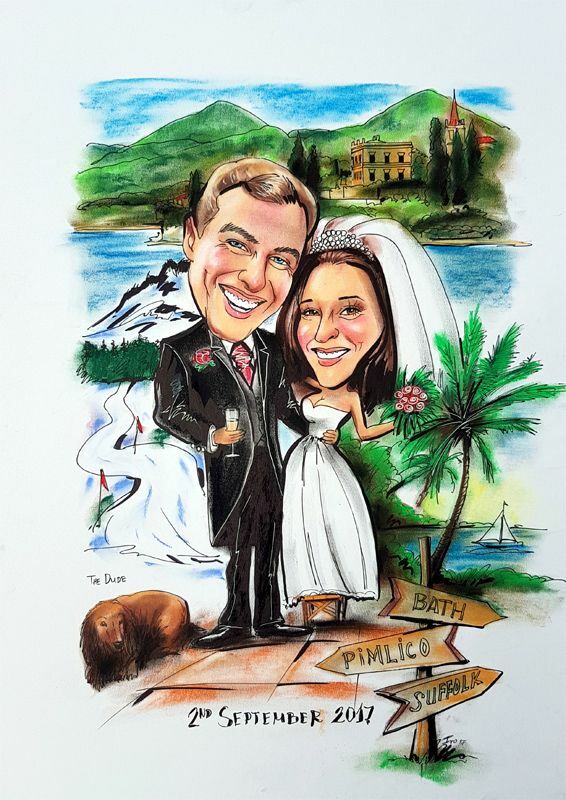 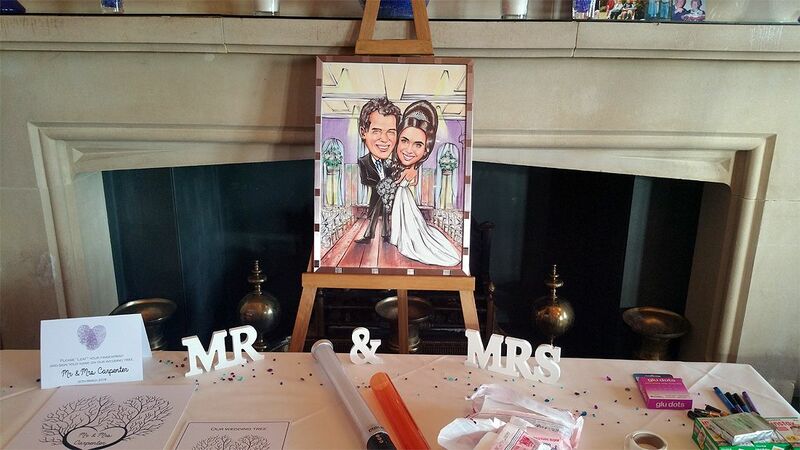 Wedding caricatures drawn live or from photo by Ivo the caricature artist on your wedding reception. Ivo the Caricaturist has been making people laugh with his caricatures at parties all over London and UK for the past 15 years. 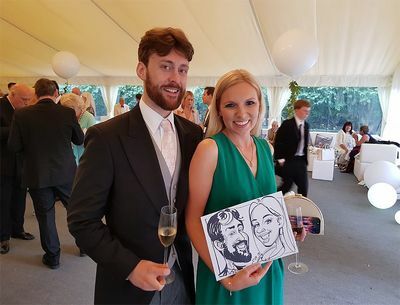 He has been frequently commended on the quality of his caricatures and his ability to get the party going with his talented artistic humour. He has worked as a caricaturist in the UK doing parties, corporate events and private commissions. 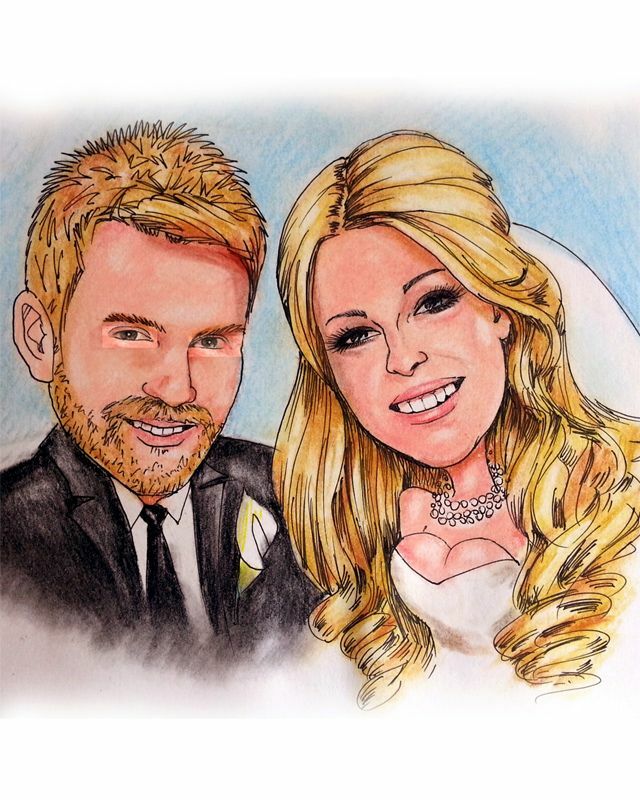 If you would like to see more wedding caricature images please click here. 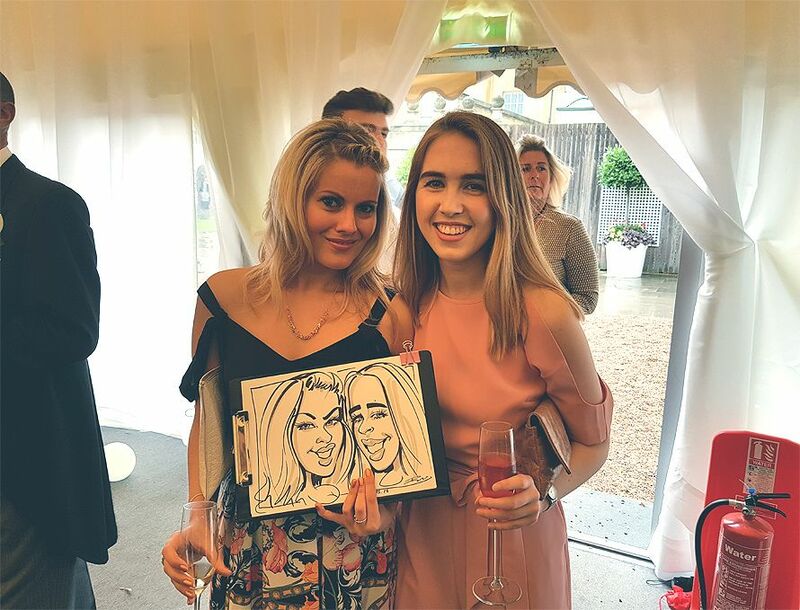 ​House of Commons, Royal Barracks, RAF, McLaren, Ferrari, Skoda, Barclays, ITV, Sky, Royalties of Saudi Arabia and Abu Dhabi, Medway Police, Hampton's International, New Star Asset Management, Thames Cruises, Emap, Hazelwood LLP, Ikea, Asda, The Open University, Barking College and many more. 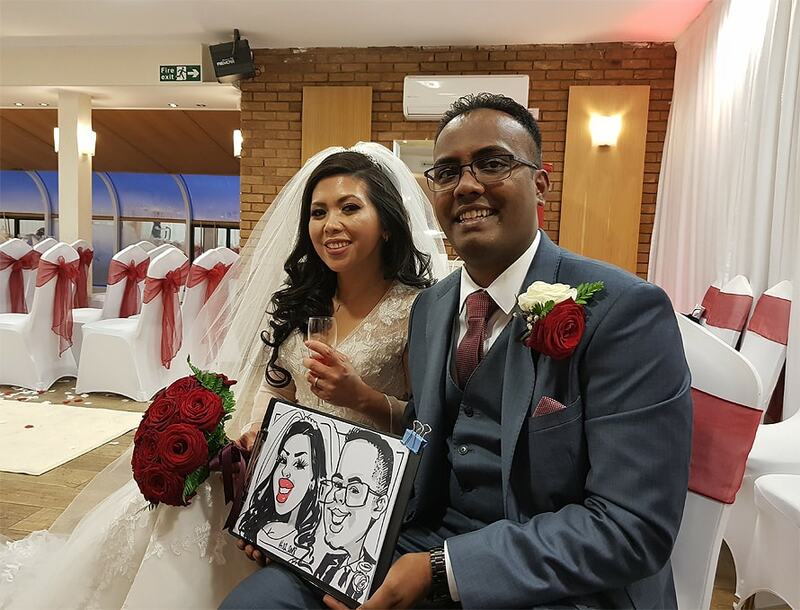 It is very common now to have a wedding sinning board displayed where the guests can wright the wishes for the merit couple. ​Order one today for your wedding reception. 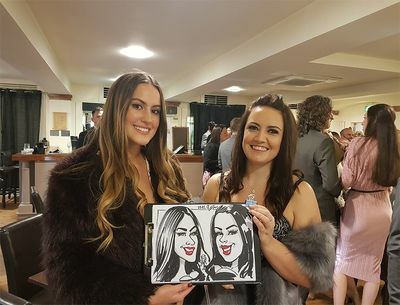 Just send some photos and explain how you wont it and you will receive the artwork shortly usually on A2 or A1 size of cardboard.